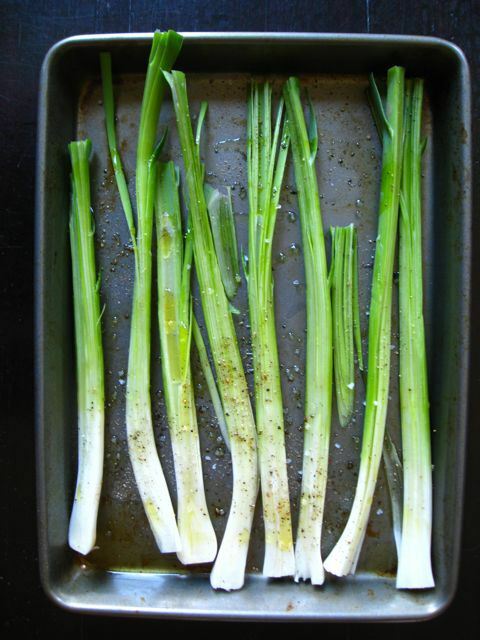 Trim roots and dark green fiberous leaves from garlic stems and slice in half lengthwise. Toss with olive oil, salt and pepper to coat. Place on the top rack of the grill with the heat on low and roast until tender and starts to brown. Serve whole or dice into smaller pieces as a topping.